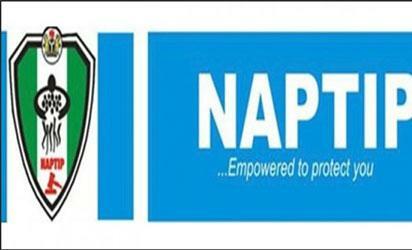 The National Agency for the Prohibition of Trafficking in Persons, NAPTIP, has denied reports that it employed or hired witch doctors to help it fight human trafficking. A statement by Mr. Josiah Emerole, the agency’s Head of Press and Public Relations said what the Director-General, Dame Julie Okah-Donli, said was that the agency was engaging all strata of the society to understand their roles in the fight against trafficking in humans. According to Emerole, “not only were the headlines misleading, at no point did the Director-General say that the agency has employed the services of witch doctors or hired them in the fight against human trafficking. “What the Director-General said was that as part of the agency’s efforts to improve prosecution of trafficking cases in Nigeria, it is engaging with all strata of society to understand their roles in the fight against human trafficking. “Bearing in mind that the use of voodoo and administration of oaths on victims is one of the control mechanisms used by human traffickers on their victims, which makes it difficult for victims to open up and assist the agency in investigation, NAPTIP took its sensitisation campaign to the Ayelala shrines in Edo State, where these oaths of secrecy are administered on the victims. “The priests in those shrines were made to understand the implication of the oaths they administer on the victims and most of them have pledged not to work with the human traffickers any longer and have gone as far as assisting the victims renounce the oaths. “The issue of oath taking has been a fundamental challenge faced by NAPTIP over the years, especially as regards victims’ testimony, as the victims believe the oaths will kill or harm them if they cooperate with us in the course of our investigations. “The agency, therefore, saw the need to tackle the problem which was aimed at encouraging the victims to give their testimonies, without which NAPTIP cannot successfully prosecute the traffickers. “The agency had, in the past, arrested and prosecuted some of these priests for their roles in human trafficking, and therefore could not have employed them in fighting human trafficking. “However, we realised that sensitising them will be of more benefit in the fight against human trafficking and in line with NAPTIP’s prevention strategy. The post NAPTIP denies employing witch doctors to fight human trafficking appeared first on Vanguard News. Next Is Meghan Markle the first black royal? Is African Democracy Worth The Tag?